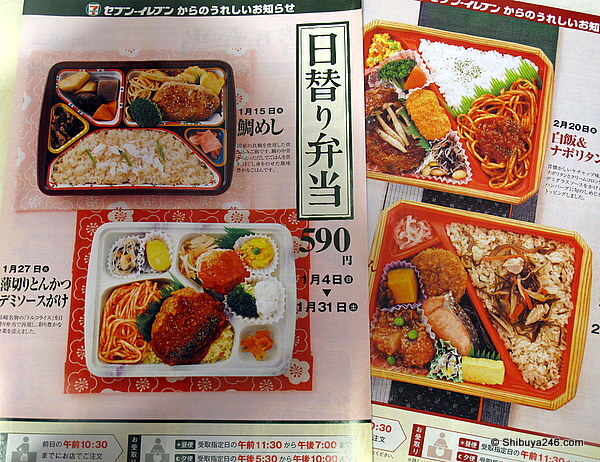 Seven Eleven, convenience store, has a wide variety of bento lunches you can buy in store. They have also launched a home delivery bento service which operates 365 days a year and can easily be ordered for many people or just yourself. There is no shortage or choice on the menu items. 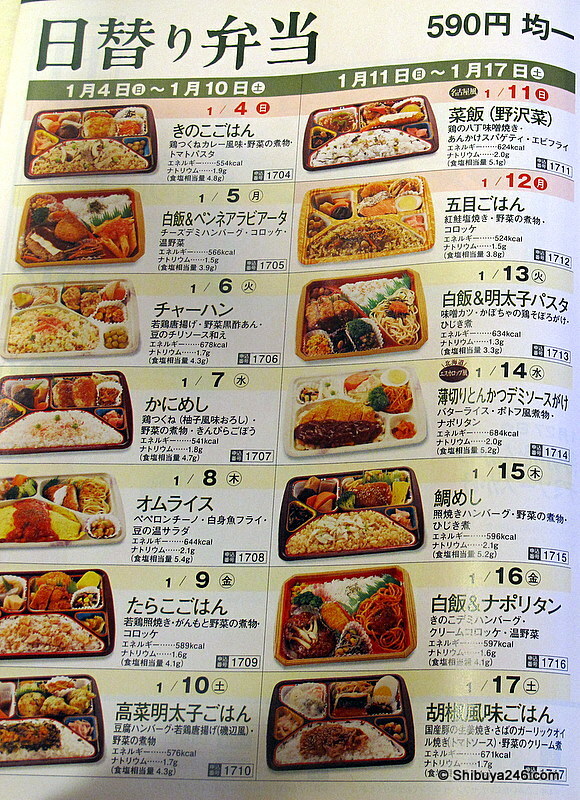 Have a look at this range of Hi-gawari Bento (日替り弁当) or Bento of the Day list.